OLED TVs are large, premium, and pricey products! And when you’re investing so much money you should buy nothing less than the best. But, what is the OLED technology exactly? Is it worth the extra Rupees? You can find the answers in my buying guide, so I highly recommend reading it. I’ve also picked out the best OLED TV's in India and provided in-depth reviews for each, which will help you make an informed choice. For any more queries, just drop a comment below. I’ll answer them within 24 hours. When you look at OLED TVs the first thing you notice is their hefty price tag. And that immediately makes you wonder, what is so great about OLED TVs and are they worth it? How are they different from LED TVs? OLED is a new technology that succeeds LED. An LED TV has a panel of liquid crystals and a light source behind this panel. The light source illuminates the Liquid crystals which produce images you see on-screen. As Light Emitting Diodes are used as the source of light, the TV is called an LED TV. This LED technology is ‘transmissive’ in nature, as the liquid crystals need a light source that is externally provided or ‘transmitted’. Compared to that, OLED is truly a new technology. In OLED TVs, a thin organic film is placed between two conductors. And when current is applied, light is emitted i.e. the organic film itself produces light. As the organic film (or self-illuminating pixels) emits light on its own, this technology is ‘emissive’ in nature. This ‘transmission’ & ‘emission’ of light is the basic difference between LED and OLED TVs. But then, a new question comes up. If that’s the only difference between LED and OLED TVs, what makes the OLED ones so special? Since there is no need for a backlight, OLED TVs are way slimmer than their LED counterparts and even consume less power than LEDs. Also, the screens are flexible i.e. they can be twisted, folded and most importantly vibrated. This means the screen can produce sound! Yes, I’m not kidding. But still the flagship feature of OLED TV is its unbeatable video quality! As you may know, the most obvious parameter indicating any TVs video quality is ‘resolution’. And the highest resolution available today, is the 4K Ultra High Definition. But try watching a regular 4K TV and an OLED 4K TV side-by-side; OLED visuals will win hands down! Why the difference when both TVs are offering 4K resolution? The secret lies in the contrast ratio. Contrast ratio is the other, often overlooked parameter describing a video’s quality. Simply put, it is the ratio of the brightest white to the darkest black that a TV screen can produce. And higher the contrast ratio better is the image reproduction, even when the resolution remains same (4K in this case). Now you know what makes the OLED TV win hands down— a very high contrast ratio. Hence OLED TVs are truly a class apart! The great almighty OLED TV, is however, not without faults. As with most things, OLED TVs too have their drawbacks. First is the size restriction. OLED TVs are only available in large sized screens (55 inch onwards), and this means you got to pay lots— for the large screen size and the technology; if you want one. So, should you empty your piggy banks and buy one, or wait for the prices to fall? And are OLED TVs worth the extra cost? Short answer— YES! 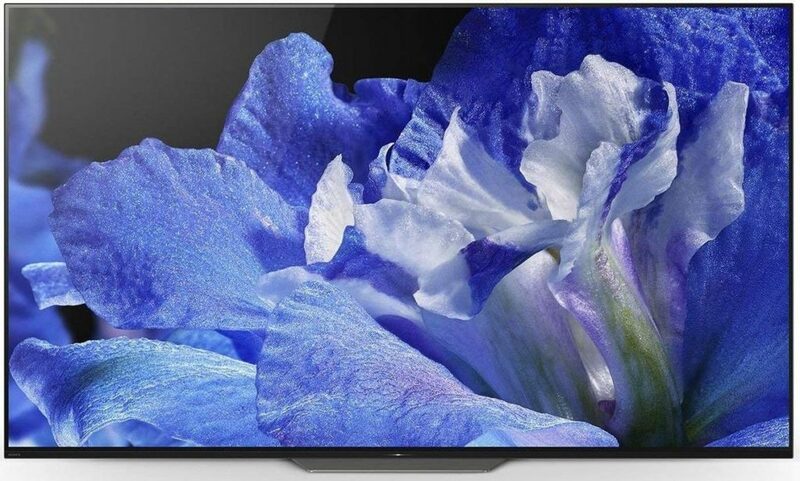 If you only want the best of best and budget is not really a concern, then there’s no TV better than OLED. It has the best visuals, latest technology, elegant design and awesome features! It is a perfect fit for tech-savvy and quality conscious individuals who love to stay up-to-date with the latest technology and products. If budget is a problem, here’s a quick tip— go for EMI options. Your budget will suddenly expand, as you can now then pay the full amount over an extended period while the TV comes home in a few days! You can also exchange your old TV to get additional discount, to further lower the M.R.P. A final note — don’t confuse OLED with QLED. QLED is a completely different technology than OLED. QLED is basically a marketing term used by Samsung to describe a segment of their LED TVs. Samsung has tinkered a bit with the LED technology and released a new range of expensive TVs, marketed as QLED, to confuse the buyers. Don’t fall for it, always buy OLED. 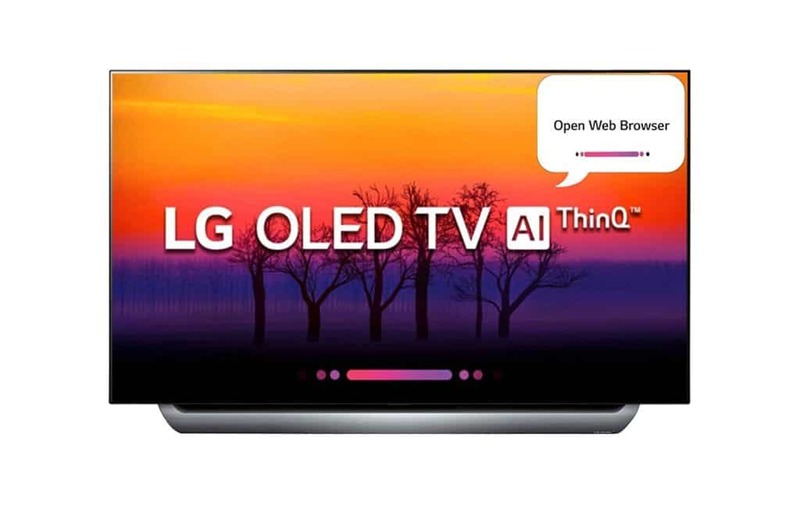 LG is lauded as the world’s best-selling OLED brand and rightly so! Their OLED technology is a breakthrough one, bringing TVs closer to what they were meant to do– recreate reality on-screen! The self-lighting OLED pixels do this very job with an unmatched finesse. The OLED pixels’ ability to emit light, allows the TV to be slimmer by shedding the extra weight of a separate light source (unlike LEDs). The alpha9 quad-core processor the TV comes embedded with, contributes to more vibrant colors, higher frame rate and eliminates grains & bands from images. The high frame rate facilitates blur-free motion while the image analyzer imparts better depths to the images. This TV comes with a horde of image enhancement technologies that highlights fine details, accentuates contrast and produces truer colors without any distortion. From the audio perspective, DolbyAtmos has you covered. Amidst 360degrees sound, you can experience ‘sound you can feel’ as if you were a part of it. LG’s unique ThinqAI technology, takes your Television experience to another level! With the voice activated control, you can now navigate the TV, web or a range of content, from any corner of the room. Just speak into LG’s ‘magic remote’— commands like ‘Open YouTube’, ‘Increase volume’ or search queries like ‘suggest some romantic comedy movies’ and the TV will obey. It’s the perfect assistant you could find and a technology that’s here to stay! If you have a penchant for finer things in life– don’t let go of this beauty! This TV is a masterpiece to look at! Being a part of the elite OLED series already makes this TV a class apart but its unique design and stunning graphics will keep you glued for hours! The self-lighting pixels diligently perform their job and produce shades of black like never before– even a starry camp-night scene will seem like a Van Gogh painting. The superior color reproduction and the picture quality might make you watch your favorite movies all over again, enjoying them in a new light of OLED pixels. With its high-speed processors, self-lighting OLED technology and Triluminous display, reality will pale in comparison to what you see on the screen! This Android TV from Sony, comes with an advanced voice command function whose sole purpose is to save you from typing troubles. You can simply ask your query, into the remote and find what you’re looking for. The built-in ChromeCast lets you cast your Smartphone screen onto the big screen, freeing up your phone to continue chatting or talking. The IR blaster remote allows you control over both the set-top box and the TV. With unlimited content access via the Google PlayStore and tons of features, this TV will keep you entertained all year-round! If you don’t mind the extra cost for a value-packed product, you can be this one’s lucky owner!